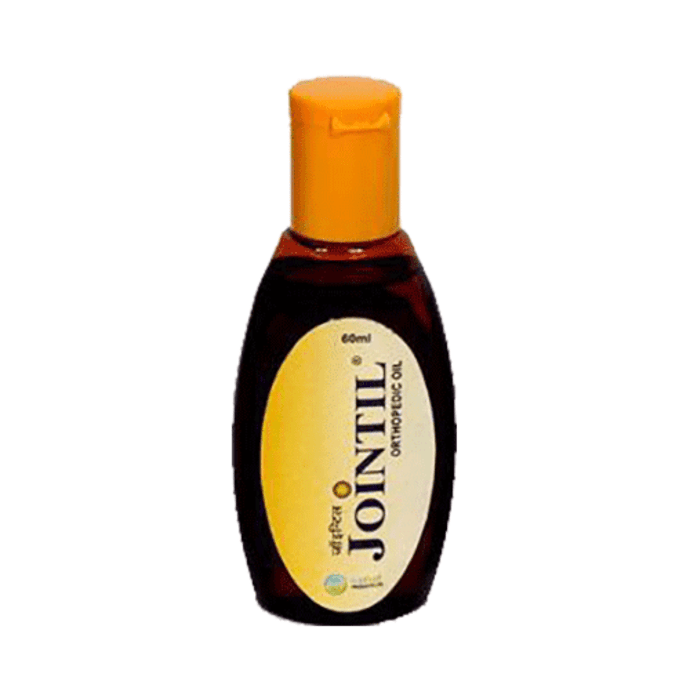 Jointil Orthopedic oil is an extremely effective blend of purified essential oils of natural herbs like Boswellia serrata, Curcuma longa, Zingiber officinale and Sesamum indicum. 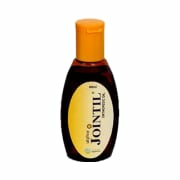 Jointil oil is very effective in joint pain, knee pain. Shoulder pain, low back pain & arthritic pain. More efficacious when use with Jointil capsules. The gum-resin of plant Boswellia serrata (also known as Salai guggul) is used in the Ayurvedic system of medicine for the treatment of arthritis. Boswellic acid in Boswellia offers anti-inflammatory & anti-arthritic activity, mediated through the inhibition of pro-inflammatory mediators like leukotrienes, cytokines, TNF etc. Extensive investigation over the last five decades has indicated that the active principle called Curcumin isolated from the rhizome of the plant.Curcuma longa. Curcumin down regulates activity and expression of:COX-2 and 5-LOX enzymes- responsible for inflammation process & Cytokines like TNF-alpha, Interleukins (IL-1, IL-2, IL-6, IL-8, IL-12) - Pro-inflammatory mediators. Ginger is a member of the family of plants that includes cardamom & turmeric. Z. officinale is the Dual inhibitor of eicosanoid (chemical substances that demonstrate inflammatory response) biosynthesis. Apply two times in a day at inflamed part or as prescribed by the physician. A licensed pharmacy from your nearest location will deliver Jointil Oil. Once the pharmacy accepts your order, the details of the pharmacy will be shared with you. Acceptance of your order is based on the validity of your prescription and the availability of this medicine.